Bali Dolphin Tour Package 7 Itinerary Wild Dolphin Sightseeing With Full Day Bedugul Tour Itinerary is the most complete Dolphin Tour package. 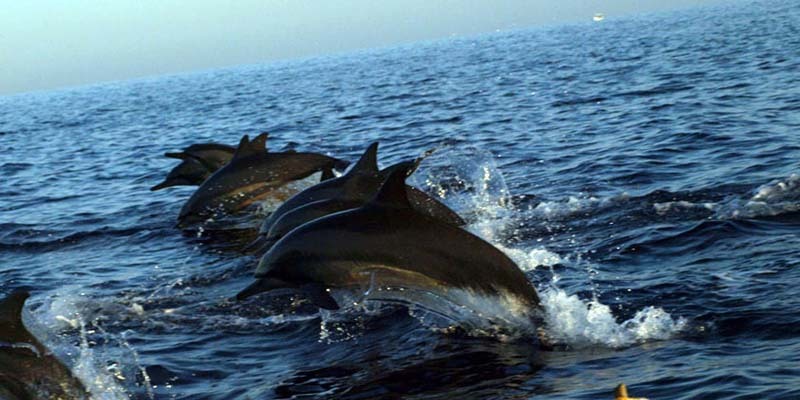 It will combine the Dolphin hunt with all the itinerary of Bedugul Tour. So, the package will be consist of Dolphin sightseeing, Gitgit Waterfalls, Twin Lakes View, Ulun Danu Bratan Temple, Eka Karya Botanical Garden, Jatiluwih Rice Terrace, and ended with sunset view at Tanah Lot Temple. 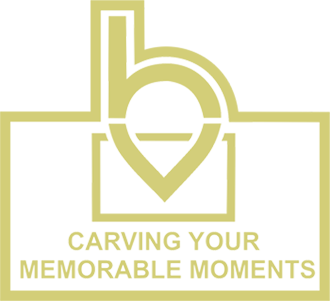 Book our product with simple and easy booking system! Directly check the availability of the product and confirm your booking in a few clicks only! -	Make sure you put the same number of person with your total number of people in your group on “Rate” and “Passengers” section. -	Make sure you check your shopping cart after click “Book” button. -	Please select your “Country Code” for the telephone section by clicking small world icon. Bali Dolphin Tour Package 7 itinerary will start by hotel pick up by our Bali tour driver in the very early morning. It will be around 3 am in the early morning. We have to start early because the Dolphin Hunt will start at 6.00 am during the sunrise time. When we arrive at Lovina Beach as the Dolphin Hunt start point, we need to take traditional boat. We also will have local and professional boat driver to accompany us. Sunrise time is a perfect time to watch the Dolphins jumping on the sea water. Because in those time they are hunting smaller fish. And the temperature is suitable for them which not too hot but they can have sun shines. Finish the boat tour, we directly continue the trip with the Bedugul Tour itinerary that started with trekking at Gitgit Waterfalls with 3 different waterfalls inside which are Twin, Normal, and Terrace Waterfalls. After the waterfalls, we moving up to the mountain top to see the view of Tamblingan and Buyan Twin Lakes then followed by visiting Ulun Danu Bratan Temple. In the middle of the day we will served buffet lunch with view of Bratan Lake to refill our energy for the rest of the tour. Next, exploring the Eka Karya Botanical Garden with a lot of different types of unique plantation. Then we are going to have a coffee break with famous Luwak Coffee or other Balinese local spices. After that we are going to do a bit trekking inside the Jatiluwih Rice Terrace and then ended with sunset view at Tanah Lot Temple along the beach side. Lovina Beach is located in North part of Bali, Buleleng Regency. This beach is long wide black sandy beach that becomes main tourist area of North Bali. It has black sand on the beach due to the eruption of the volcano mountain in the past. To reach the area from Denpasar, it will take about 2.5 – 3 hours driving. This is where we are going to hunt the Dolphins by camera using the traditional boat. Dolphin is a Mammalia that live in the sea which means they are not categorized as ordinary fish. Instead of having eggs for reproduction, they are giving birth to dolphin child like us so they are categorized as a Mammalia. They are always jumping on the sea water level during the sunrise time because they feel it is not too hot yet to hunt the smaller fish as food around top water level. Usually the live with large number of groups so once you see one Dolphins, you will see plenty of them around you. Gitgit Waterfalls is located in mountainous area of Sukasada, Buleleng Regency. It takes about 30 minute drive from Botanical Garden to the North direction passing by the other mountain top and down to Singaraja City. Gitgit waterfalls is the first famous waterfall amongst other that discovered and developed later on. 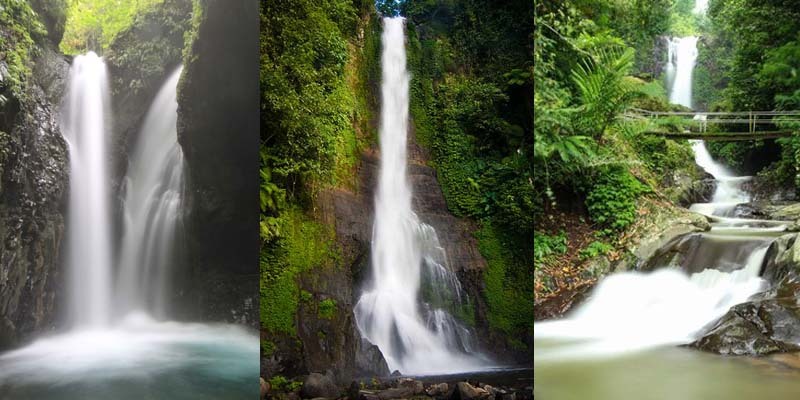 There are 3 different waterfalls inside the Gitgit waterfalls area. The first waterfall is the Twin waterfall that is what Gitgit was famous for. The second waterfall is ordinary waterfall with only one waterfall site. And the third waterfall is Terrace waterfall that having its own uniqueness with several levels of water flowing down. It would take about 45 minutes to discover the all three waterfalls inside if we keep on walking through the routes. Cool air, small water splash to our face, and wonderful views made us blended into one with the nature. Ulun Danu Bratan Temple is located in Candi Kuning Village, Tabanan Regency 50 km away from Denpasar Capital City to the North. The Temple is one of nine important Temples or “Pura Kahyangan Jagat” which scattered in nine directions around Bali Island. In historical, I Gusti Agung Putu build this temple on 1634 years (general calendar). Or 1556 Caka calendar (Balinese calendar). It was made in order as the place for the Hindus in Bali to express our gratitude to Ida Sang Hyang Widhi Wasa (Hindus main God) in his manifestation as Tri Murti (Brahma, Wisnu, and Siwa). It purposed to be the place where the local Hindus asking for blessing from the God for the balance of the human life with nature and well grown plantation and its product. Ulun Danu Bratan is popular for its unique and beautiful architecture. It is because the main Ulun Danu Temple is situated inside the lake area on the lake water level. The main temple connected to the land area by small bridge which connecting 2 different small parts of the main temple. 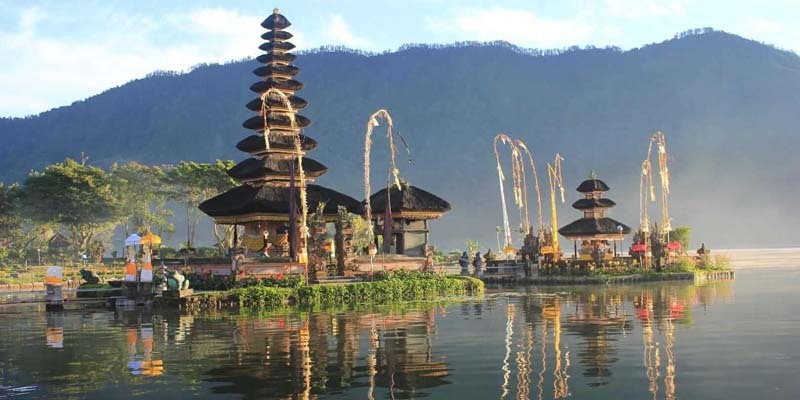 Due to its uniqueness and beauty, the picture of Ulun Danu Bratan was chosen as the icon picture of IDR 50.000 bank notes. Eka Karya Botanical Garden is located in Bedugul Mountain. Situated on the high latitude, the garden has a compatible weather to be plantation conservation center. Name of “Eka Karya” was proposed by I Made Taman which comes from “Eka” means one or first and “Karya” means product of work. Eka Karya supposed to have meaning as the first botanical garden which built by Indonesian Government independently after suffering a lot in colonialism. There are 3 others botanical garden in Indonesia which located in Java but they were built in the colonial era. As a botanical conservation center, it has varieties of exotic plantation such as orchids, bamboos, begonia, medicinal plants, cactus, and many others. 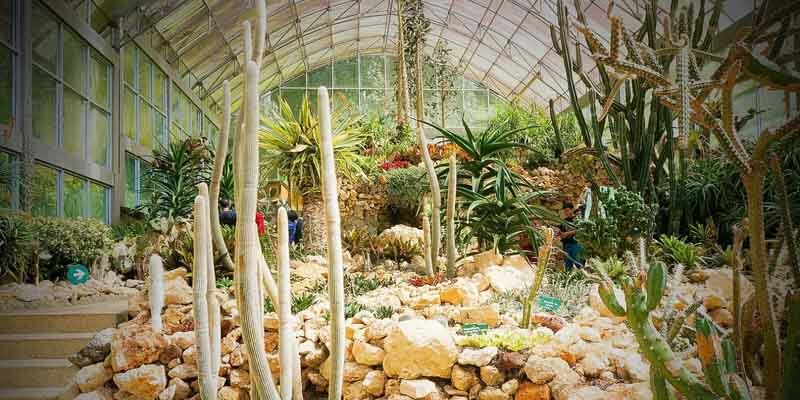 With 157.5 hectares area, the Botanical Garden become one of the favorite holiday destination of the local people and foreigners especially those who loved to see the beauty plantation types. Jatiluwih Rice Terrace is a wide range area of rice field in Jatiluwih Village, Tabanan Regency with unique landscape and watering system. The mountainous area in small island of Bali is giving a problem for the farmer to find a wide and large area of flat land in order to plant the rice but in the other hand Balinese people are eating rice as the main food. So to have enough rice supply for the locals, we found a farming technology that flattened small area of the mountain then shaped it into several different levels so it will shaped in terrace landscape. The watering system will be flow from the top level of the rice terrace and spread into the next level underneath. Instead of flattened the mountain into a wide flat area, this option is more realistic and more ecosystem friendly since we are not changing the shape of the mountain itself. This farming system is exist in our land from hundred years ago. Even it exist before the colony from Europe start their invasion in our country. 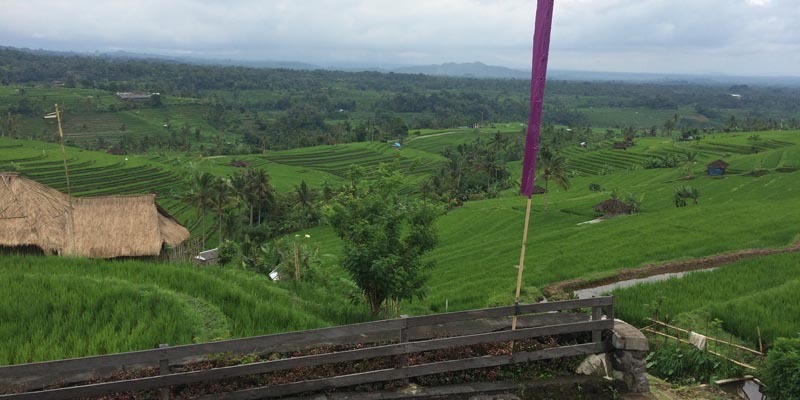 In Bali, this rice terrace irrigation system is popular as “Subak”. Due to its unique irrigation system, Jatiluwih Rice Terrace has award as the UNESCO’s World Cultural Heritage on 2012. Tanah Lot Temple is located at Beraban Village, Tabanan Regency. This Temple is situated separately with the mainland in the middle of the Ocean. Due to its unique location combined with the wonderful views during the sunset time, this Temple becomes one of the tourism icon in Bali. Tanah Lot comes from word “Tanah” means land and “Lot” means sea. So it means Temple of the Land and Sea. The history of the this Hindus Holy place began when “Dang Hyang Nirartha” from Majapahit Kingdom in East Java was having “Dharma Yatra” or religious journey to spread and maintaining the bond of Hinduism in Bali. Most of his journey is taking place on the middle to south west parts of the Island. When he arrived at Beraban Village, he saw a unique Cliffside which shaped like a bird and do a meditation on it for a several times. Local Beraban villagers who saw his wisdom and strong will on meditation started to follow him and implemented his doctrine of Hinduism. Did not satisfied of the things going on, leader of the village was pushing him to leave the village. To encounter the force of the village leader, Dang Hyang Nirartha moved the cliff he used to do meditation at to the middle of the ocean and command the sea water snakes to be its guardian. After seeing the power of Dang Hyang Nirartha, leader of the village admit his loses and commit to follow his doctrine as well. Finished to apply his Hinduism doctrine at Beraban Village, Dang Hyang Nirartha continue his journey to South West side of the island and “Moksa” or rest in peace at Uluwatu Temple.